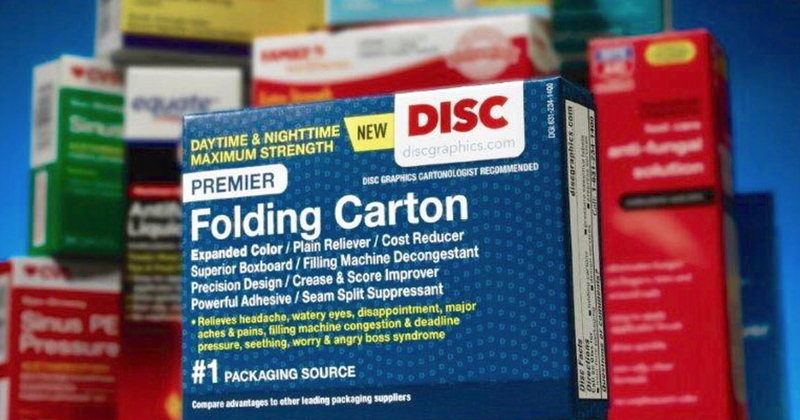 Oliver Printing & Packaging Co. (“Oliver”), has acquired DISC Graphics, Inc. (“DISC”). DISC is a manufacturer of high quality folding carton packaging, micro-fluted corrugated boxes and pressure sensitive labels, serving the pharmaceutical, health & beauty, food and beverage, and consumer products markets. Headquartered in Hauppague, NY, DISC will continue delivering innovative packaging solutions from its current facility as part of the Oliver platform. Oliver has made significant investments in modern equipment, facilities and people since Pfingsten became majority shareholder in May 2016. The DISC transaction represents Oliver’s second strategic acquisition and aligns with Pfingsten’s strategy to create a leading provider of innovative, high quality packaging solutions. In August 2017, Oliver acquired Pohlig Bros. Packaging, based in Richmond, Virginia. We’re dedicated to printing efficiently, effectively and with respect to the environment. We are certified by the Forest Stewardship Council certification (FSC) for our sustainability practices and earned the IDEAlliance distinction of G7 Master Qualification for our printing standards and efficiency. Need a resource for your next marketing project? Don’t see what you need? We can create a customized template to meet your project’s unique objectives. Our in-house structural designer is ready to help you from inception through production to make sure your project design matches your budget and creative vision.